Readers of some of my earlier posts will know painting is not my favourite part of the hobby. Nevertheless, progress is occasionally made, and I have been able to add these Prussian jager to my Seven Years War collection recently. The figures are, of course, RSM95s (what else?). I decided to create a composite battalion of four stands, for a bit of variety. The two stands on the left are from the Feldjager-Corps zu Fuss, what you might call the 'normal' Prussian jager. The other two stands are from the jager detachment of Frei-Corps Le Noble. These latter stands use the 'Austrian Jager Advancing' figure from RSM, with the hat plume removed, plus a standard officer figure. All painted mostly in Humbrol enamels with the odd acrilic colour for the detail areas, then finished with a coat of acrylic matt varnish. I intend to give these chaps their first outing in my next game, which will be a refight of the Grant/Asquith scenario 'Encirclement or Breakout', from their book Scenarios For All Ages. With luck a report of the action should form my next post. Bet you can't wait! And so, under the light of a blazing desert sun (or rather under the light of a blazing high wattage bulb), the refight commences. By a strange coincidence, it is 68 years almost to the day since the actual battle. See the previous post on this blog for details of situation and forces. I'll describe the refight by using captioned photos. desert flavour! Italian baseline to left, British baseline to right. Deployment of 42nd Artillery Regt. in and around Mechilli. IIIrd Medium Tank Battalion, deployed on Ras el Mechilli, can be seen on the left. The light tanks were deployed west of Mechilli, just off the bottom left of the photo. The Italians were commanded by myself. The British were commanded by Paul James. Foolishly, I mentioned in the previous post about this battle that the tracks were really only there for visual effect. Paul rather disagreed with that and decided to attack down the track in column! This is the end of move 1. As there was only one British artillery unit (just 3 attacks in BKC) there was not much chance of inflicting significant damage with the artillery, so Paul decided that using smoke might be more useful. The British FAO is seen on the hill in the foreground. Paul didn't get as many orders in as he had hoped during the first 3 moves, but he managed to deploy his light tanks off the track on the Mechilli side of the Wadi el Ramla. Unfortunately the Italians then took the initiative and in move 3 managed to knock out 4 MkVI tanks. The light L3s have moved up to support the infantry in Mechilli. On move 4 the Hussars pulled back, after first knocking out the 47mm ATG guarding the track at Mechilli. The artillery covered their withdrawal by plastering the Italian M13s with smoke. A reduced 7th Hussars (with their attached portees) consider their next move. Overview later during move 4. 2nd RTR have arrived, and Paul is determined to continue with the use of the Mechilli track as his main axis. The 11th Hussars have used flank deployment and are approaching Mechilli in the left of the picture. On the Italian baseline, their reinforcements have also arrived, but failed command rolls are preventing their effective advance. Bersaglieri can be seen on the left, medium tanks on the right. The 75mm battery is behind the crest of the Ras el Mechilli. Move 4 and 11th Hussars arrive on the Italian right flank. Discerning readers will note that 2 of these Rolls Royces have had a quick conversion job to give them an open topped turret with anti-tank rifle. This gives them some fighting power against Italian tankettes and armoured cars. Closer view of the Italian right flank. The Italian command rolls are only intermittently successful, and the orders to face the new threat are so far not forthcoming. End of move 4. The smoke has been taken away. The Bersaglieri and the 75mm guns of the 12th Artillery Regt have managed to make a move forward from their deployment area. Move 5. 2nd RTR have got in a number of orders and have pushed down the track past Mechilli, distributing fire all around as they go. Smoke again covers their right flank. With suporting fire from 7th Hussars they have taken on IIIrd Medium Tank Battalion decisively, knocking out three and pushing back the fourth. 11th Hussars have managed to knock out the Italian 20mm AA gun on their side of Mechilli. The Italians in Mechilli are reacting with some return fire - one of the MkVIs in the column has been suppressed, and will be knocked out next move. The British tanks are now head to head with the Bersaglieri, who are desperately trying to clear the line of fire of their anti-tank gun and bring it into action. Behind the smoke, the strong V Tank Battalion have finally passed a command roll and are heading over to counter the British tanks. Any thoughts they had of advancing across the Wadi el Ramla have been abandoned. A9 and portees of 7th Hussars providing supporting fire for 2nd RTR, as the game moves into its final phase. Move 6. 2nd RTR abandon the track and send the A13s of 'A' Squadron across the rough ground to face the advancing Italian tanks of Vth Battalion. The rest of the regiment is off hunting L3s around Mechilli, and 2 of the Italian light tanks have already been destroyed. A solitary A9 is left to face the Bersaglieri. An attempt to mask the Bersaglieri with smoke is only partly sucessful - you can see the 47mm gun has scored 2 hits on the A9. 7th Hussars are back in the game (with a run of 4 successful command rolls) - the A9 and portees move forward to assist against the Italian mediums, whilst their light tanks have got in amongst the Italian 75mm battery. This latter unit has suffered from failed command rolls and has not even managed to deploy properly. It has been forced to do so by the destruction of its transport, and the command unit has been overrun and forced to join one of the gun sections. The initiative is now very much with the British, with the Italians on the back foot. However, the Italian infantry in Mechilli continue to fight back and claim a MkVI on the main track, as well as 2 of the Rolls Royces from 11th Hussars (foreground). Another view of move 6, concentrating on the Ras el Mechilli area. Move 7. Holy double Jerboah! The only double one (command bonus) to occur in the game. 11th Hussars, having lost 2 armoured cars to the anti-tank rifles of the Italians at Mechilli, pull back the surviving car which now tries to infiltrate in behind the Bersaglieri. Overview of move 7, the last of the game. There is fierce fighting on the Ras el Mechilli, the British losing a MkVI to opportunity fire whilst the Italians lose the leading M13, plus another suppressed. However, the decisive action takes place in Mechilli. In the British phase, the last L3s are destroyed and the 'Defence of Mechilli' rule comes into force before the Italian phase commences. Unfortunately there are 6 British AFVs within 10cm, so 6 dice are rolled and all the surviving Italian units fall back more than 10cm and are destroyed. This takes Italian losses to 17 units, 3 over their breakpoint. They must try to score 5 or less to carry on, but predictably they fail and so the British win. British losses were 8 units (all AFVs). They have achieved one of their minor objectives by capturing Mechilli and so claim a minor victory. The Italians must abandon the area. A good game, which took three hours to play. The scenario fulfils a number of the conditions mentioned by Bob Mackenzie in his blog article - most importantly, although an attack/defence game, the defence is a mobile one and there are many decisions to make on both sides. Both players had plenty of opportunity to move lead and roll dice. I congratulate Paul - his determination to push up that track, and keep pushing until he was right in amongst the Italians paid off in the end. Myself on left, Paul James on right. I think our next scenario will be Seven Years War, so watch this space. I always find historical scenarios fun and satisfying to play. The problem is finding the information you need for a historical re-fight, and having the right miniatures available. Hence, the 12 ready made scenarios in Benghazi Handicap, by Frank Chadwick, are of great interest if, like me, you wargame the Western Desert campaign. 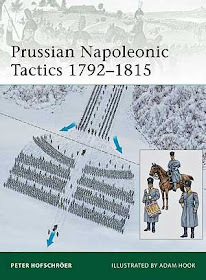 The scenarios are well worked out with detailed forces and generally cover small actions or smallish parts of bigger battles, which means the forces involved are of a reasonable size, and are easy to field if you already wargame the period. They are designed to go with the Command Decision - Test of Battle rules, but these use the same basic level of play (one figure base or vehicle = one platoon) as the set I use, Blitzkrieg Commander. With this in mind, I expected the adaption to BKC to be straightforward, and was keen to try out some of the actions described. For my first re-fight, I chose scenario 3, 'First Batlle of Mechilli'. I had two sources of my own to refer to for this battle, Barrie Pitt's Wavells Offensive and Ian Walker's Iron Hulls, Iron Hearts. Reading them gave me confidence that Frank had the overall feel of the action correct. Deciding the basic opposing forces was indeed easy enough, and they are shown below. Terrain needed a bit more thought, but not too much more. With 6mm miniatures, I thought the battle could be set successfully on a 4' x 4' table, and this seemed to work out OK. The wadis were an obvious problem; rather than gouge out the appropriate furrows in my TSS tiles, I cut out some shapes from light brown felt which could be placed in the right position. There were gaps between the shapes which allowed the passage of troops, in line with Frank's concept of 'broken banks'. They could have some scenic scatter on top to improve their appearance. The main problem was understanding scenario concepts like deployment, objectives and victory conditions from a rule set I didn't have, and which consequently I didn't fully appreciate. Thanks to the guys on the CD - TOB forum for sorting out a few basic points. It was, of course, important to get these things right. Setting up the opposing forces on the terrain and having at it wouldn't replicate the historical action. Units need to be deployed correctly in time and space and have the right objectives. Getting all this sorted took a week or so of part-time thought and tinkering (I don't have the quickest brain in the world for this sort of thing), and culminated in a solo run through to see if the scenario worked. As I thought, it turned out to be an uphill struggle for the Brits, and a bit of further tinkering was needed. Readers will see the forces and set up below, but basically the Italians out-gun the British, and this needs to be balanced by reflecting the greater training and battle skills that the British had. To do this, I raised the Command Values of the British formations above their normal level to give them a really significant advantage in issuing orders for movement and firing. Initial troops deploy up to 10cm from baseline. Reinforcements deploy in same way on move 4 (command phase). 11th Hussars may use flank deployment in first two thirds of table, but on the left flank only. Initial Troops: 42nd Artillery deploy in Mechilli or within 10cm of the BUA. May be dug in. Other formations deploy anywhere up to 25cm from baseline. Reinforcements arrive on move 3 (command phase) and deploy up to 10cm from baseline. No flank deployment allowed. Initial troops deployment: Deploy opposing formations one at a time, Italians first. British play first. Defence of Mechilli special rule: If at the end of any turn there are unsuppressed British AFVs within 10cm of Mechilli, but no unsuppressed Italian AFVs within the same radius, each Italian unit in or within 10cm of Mechilli dices for fallback. Throw 1 dice for each British unsuppressed AFV within the radius. Terrain: Wadis are impassable except at gaps. Rough ground counts as dense terrain to all vehicle units. Victory conditions: No turn limit. Italian minor objective is to have 25% of their units on the far side of the Wadi el Ramla. Major objective is to have 50% of their units on the far side of the wadi. British minor objectives are to capture Mechilli and to exit 25% of units off Italian baseline. Major objective is to exit 50% of units off Italian baseline. Achieving both minor objectives counts as achieving a major objective. Breaking your opponent’s battlegroup will end the game, but you will only win if you have achieved at least one of your objectives. Combined HQ/FAO: command unit may act as one or the other using normal rules, but may not act as both in the same turn. Special Rules: Units of Italian III Battalion, 42nd Artillery are counted as 'fragile' and 'reluctant'. Finally, a picture of the terrain as used for the solo run-through. Owners of the Benghazi Handicap book will see I have simplified the pattern of tracks, but they are really only there for visual effect. Italian baseline to left, British baseline to right. The Wadi el Ramla runs from centre top to bottom right. Mechilli is at the junction of the tracks. The hill near the Italian baseline was called the Ras el Mechilli. The scenic scatter made of tiny stones represents areas of rough ground. TSS tiles and hills, felt tracks and wadis, GHQ buildings. Watch this space for the full refight of the scenario. Battle takes place Friday 23rd January.